There is something about Christmas that puts me in the mood for Harry Potter. I always loved the Christmas scenes in the books, what I wouldn’t give to find an Invisibility cloak or Weasley sweater at the foot of my bed on Christmas morning. 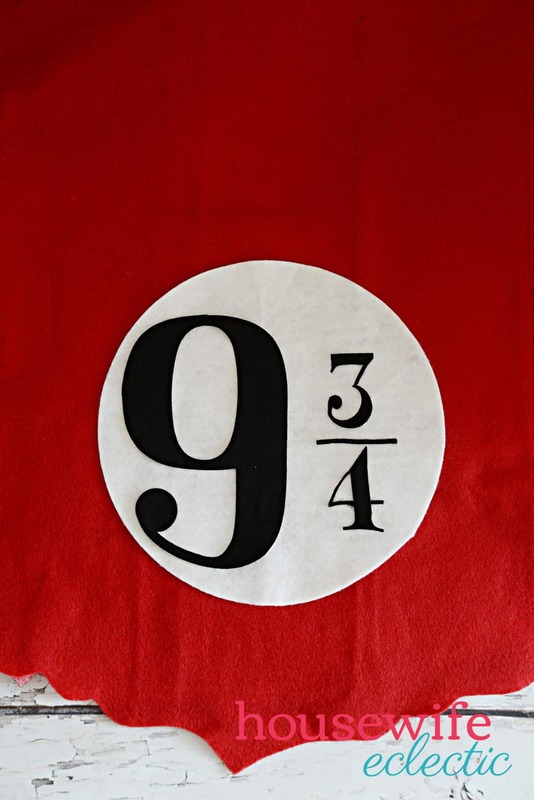 Since I have always associated Harry Potter with Christmas, I have put a lot of work into making Harry Potter Christmas decorations, in fact, I have an entire Harry Potter tree that is filled with potions, wands and owls but the one thing it didn’t have was a Christmas Tree Skirt. I have looked at hundreds over the years but never found anything I loved enough to put at the bottom of this tree, so I finally decided to make it and with my Cricut Maker it came together so fast I can’t believe I didn’t make it earlier! Red Felt or Red Felt Christmas Tree Skirt. You can make this a really fast and easy project by using my cut files here. 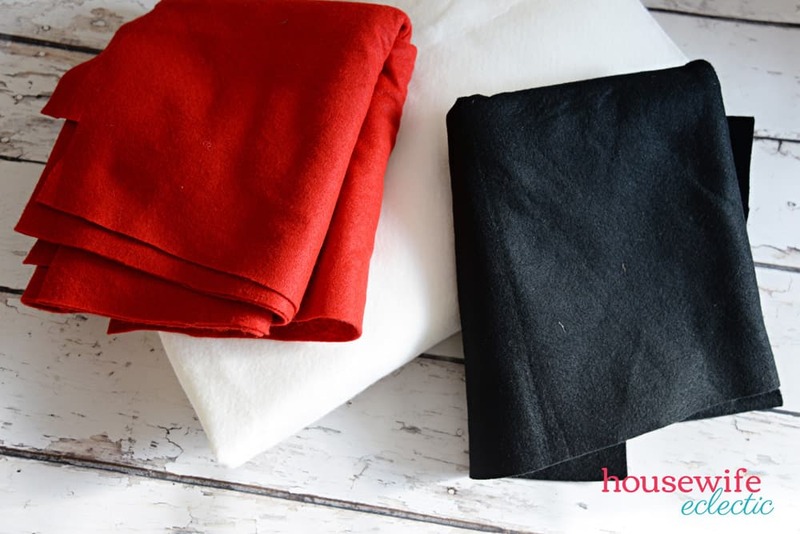 To make this an even faster project you can pick up a red felt Christmas tree skirt for less than $5 at a lot of the big box stores. 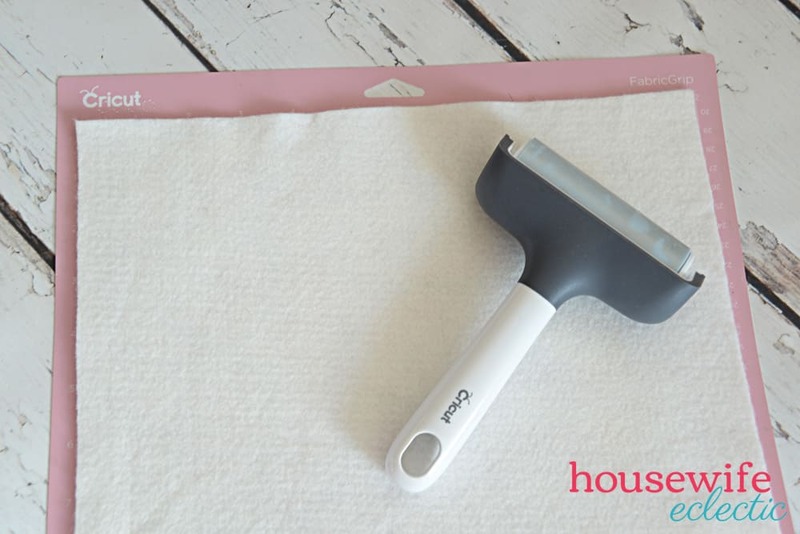 Add your white felt to your fabric mat and roll over it with the brayer. This will really secure your felt into the fibers of your mat to get the absolute perfect cut. Set your machine settings to felt and make sure your rotary blade is in the machine. If your setting suggests the fine point blade, hit edit tools on the far right-hand side of your computer screen and switch it to your rotary blade. This will help ensure all of your tiny cuts are just the way you want them to look. After you cut your white circle, repeat the process with the numbers. Lay the black felt on the mat and then run over the felt with the brayer before cutting. After you have all of your pieces cut out and peeled off the mat (peel everything slowly so nothing rips), cut these same pieces again out of fusible material. Then use your EasyPress 2 to press the felt together using the fusible material. 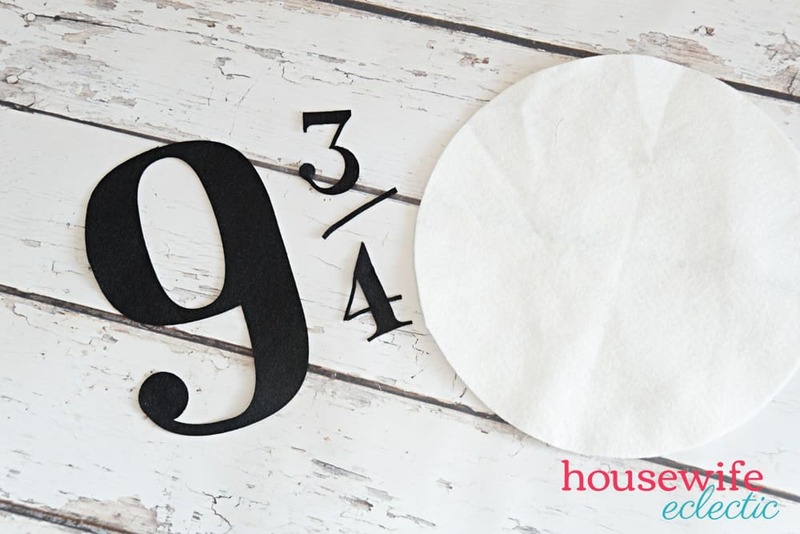 Lay the Christmas tree skirt down, then the circle fusible material, then the white felt circle and iron the entire design at 350 for 30 seconds. Then repeat the process with the numbers on top of the white circle. 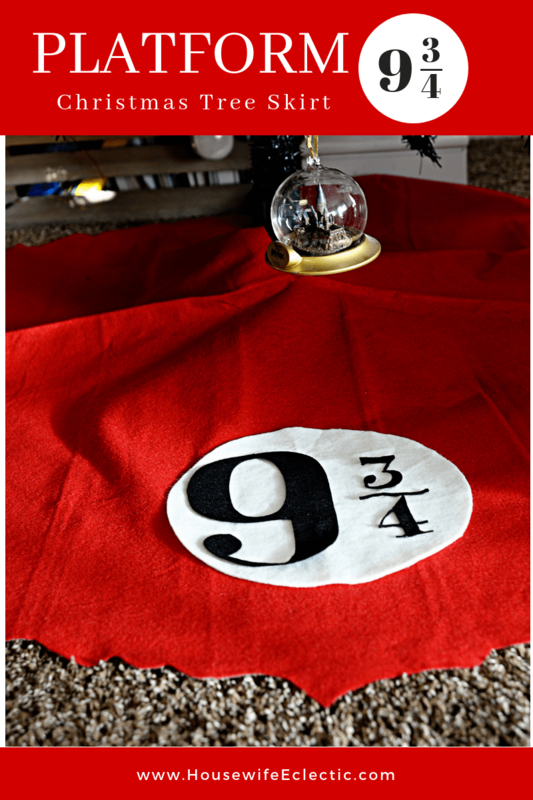 Put your tree skirt underneath your tree and then fill the entire tree full of wizarding magic! 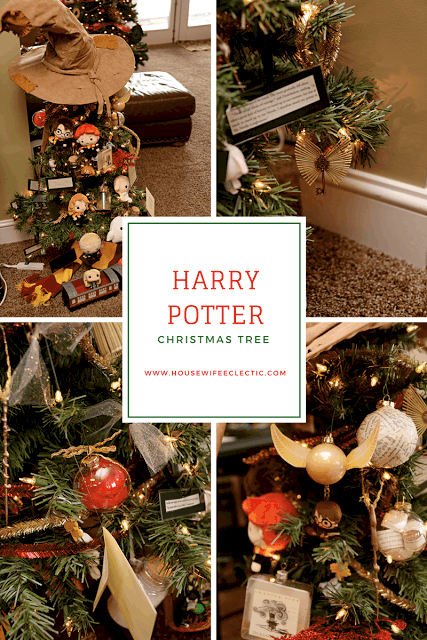 Do you have any Harry Potter ornaments on your tree?